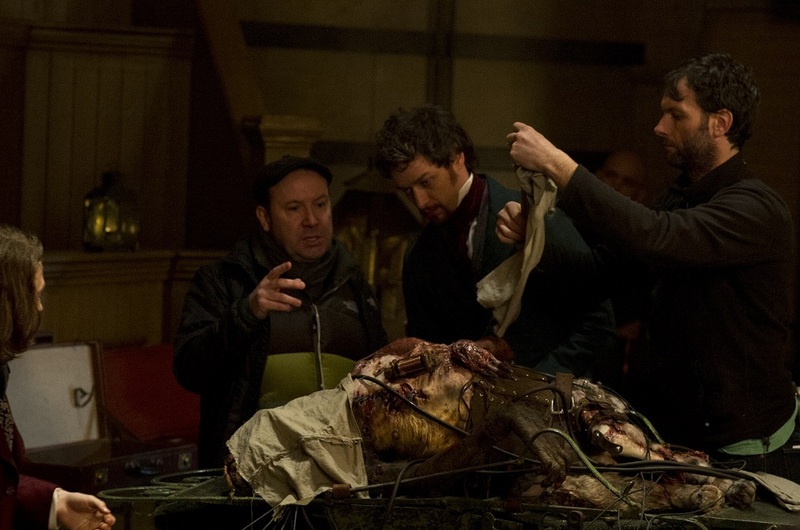 Everyone knows the story — the genius mad scientist, the unholy creation… and now with this off-course adaptation, we get a background on a character that does not even exist in the 1818 original source written by Mary Shelley. Igor, the hunchback assistant of the titular character first appeared in the 1931 film adaptation, is an abused circus clown who somehow has a talent for anatomy who gets recruited by the titular genius mad scientist to help him recreate life from the dead(s). Directed and screenwritten by Paul McGuigan (Push, Gangster No. 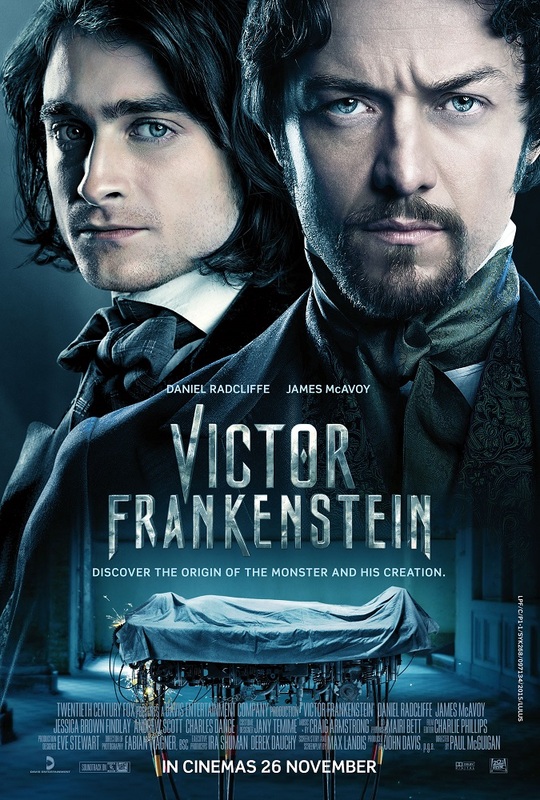 1) and Max Landis (American Ultra, Chronicle) respectively, both without a consistently good record, Victor Frankenstein has a different approach which focuses more on the life and motivations of these characters and gives two cents about the iconic Monster itself. Landis may be ambitious with his script which basically conveys the good-intended message of how good deeds could already bring life upon others, but McGuigan’s limited capabilities simply couldn’t deliver. Not only this adaptation is less dark than most of the classic adaptations, it’s also quite goofy, has zero grit and lacks of genuine heartfeltdrama, the only way McGuigan knows how. Not to mention about the poor CGI for the first test subject. Thankfully the Monster isn’t CGI too. 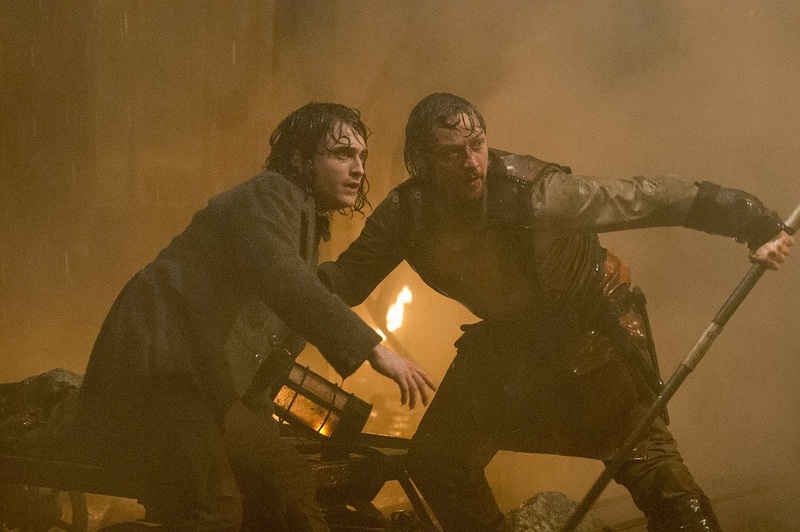 Although Daniel Radcliffe (Harry Porter film franchise) is not unusual-looking enough to play Igor, both him and particularly James McAvoy (X-Men films) as Dr. Frankenstein did the best they could through their engagingly committed performances. Despite the homophobic humour at the beginning which still brings unintentional chuckles in later acts, the two actors do have an awkward chemistry between them and manage to keep the film from being boring by strongly bringing out the fun eccentric personalities of their respective characters. However, their friendship and the romance between Igor and his love interest Lorelei (Jessica Brown Findlay) are under developed and ultimately seem very forced, which causes the ineffectiveness of scenes that could’ve been very emotional. 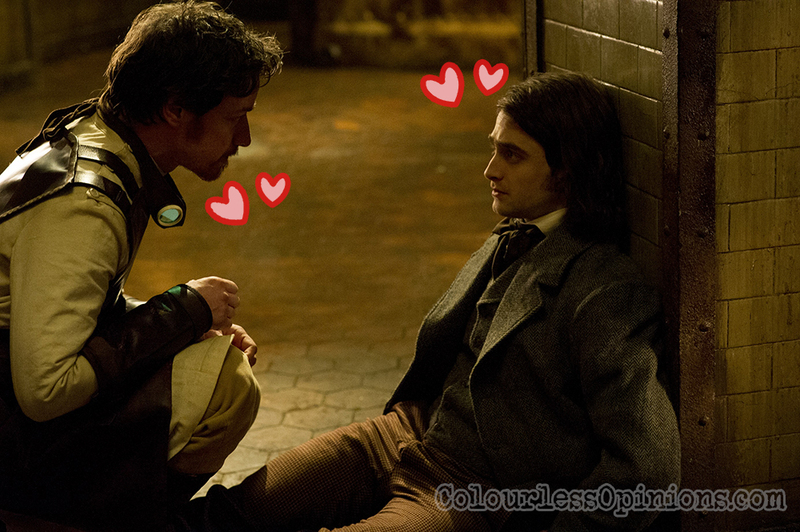 It pretty much jumps from saviour straight to best friends/lovers. The big reveal on Frankenstein’s motivation behind everything is also half-cooked due to the lack of in-depth exposition. What’s the point of this “unique” adaptation then? 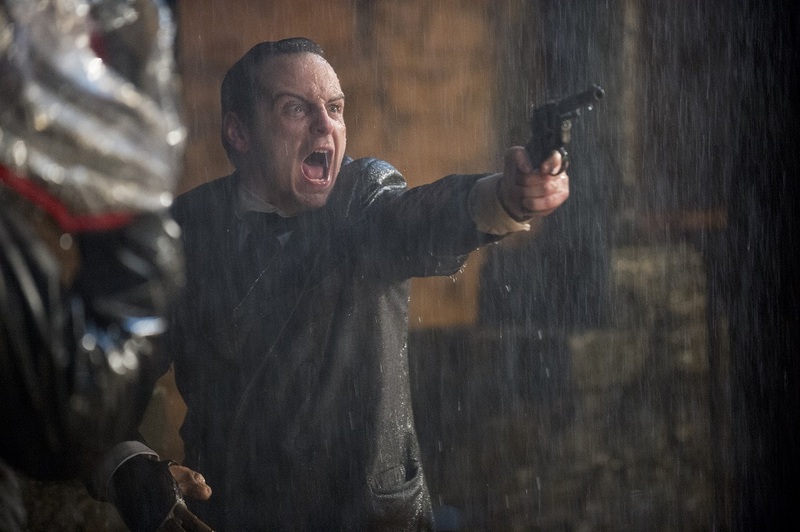 Then the film is also bloated with unnecessary sub-villains, one of them’s a religious detective (like Michael Shannon’s character in Boardwalk Empire TV series) named Roderick Turpin (Andrew Scott) who’s basically there to go against Frankenstein’s idea of playing god. Again, ambitious script but director couldn’t do right by it. With these uneven narratives, it begs the question, how many scenes did not make it in the final cut? Feels like same mistake done on The Amazing Spider-Man 2 (2014) and Fantastic Four (2015) by ignorant producers. The most ironic flaw of the story is how these two geniuses could somehow forget one of the important organs of all to create an “intelligent, intellectual, civilised man”, which forces a failed climax finale at the end which is as predictable as the final stage of video games. The film should’ve allowed more time on the characters and ended with the Monster coming to life instead showing this brainless disappointment (pun intended). Those who wishes to see the Monster roaming around killing people, this isn’t the faithful adaptation you’re looking for. It doesn’t even show where Frankenstein’s body parts are from. One last time… Frankenstein is not the name of the Monster. Read this, Hotel Transylvania? Malaysia censorship: I don’t think anything would be censored even for public screening. Second opinion: My girlfriend said that she enjoyed the first act but finds the remainder draggy and boring. Verdict: Far from being a great film adaptation of the classic, and there were enough of it already anyway.